Kaitlyn Noelle Samuels was born in 1996 in Corpus Christi, TX. She was diagnosed with cerebral dysgenesis consisting of complete agenesis of the corpus callosum, diffuse pachygyria and colpocephaly at 7 months old. 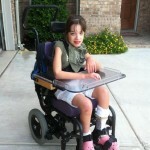 She immediately began physical, occupational and speech therapies due to global developmental delays. 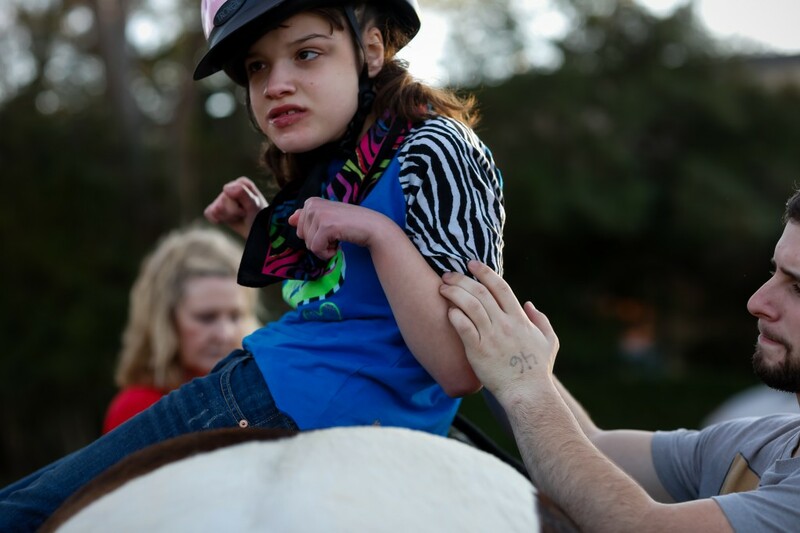 She has learned many skills through therapy but due to her complicated and rare brain abnormalities she still remains severely physically and cognitively disabled. 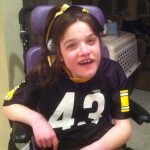 She also suffers from a seizure disorder and scoliosis. 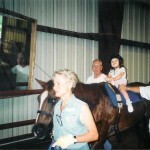 Kaitlyn’s scoliosis is best managed with physical therapy using the horse as a tool. 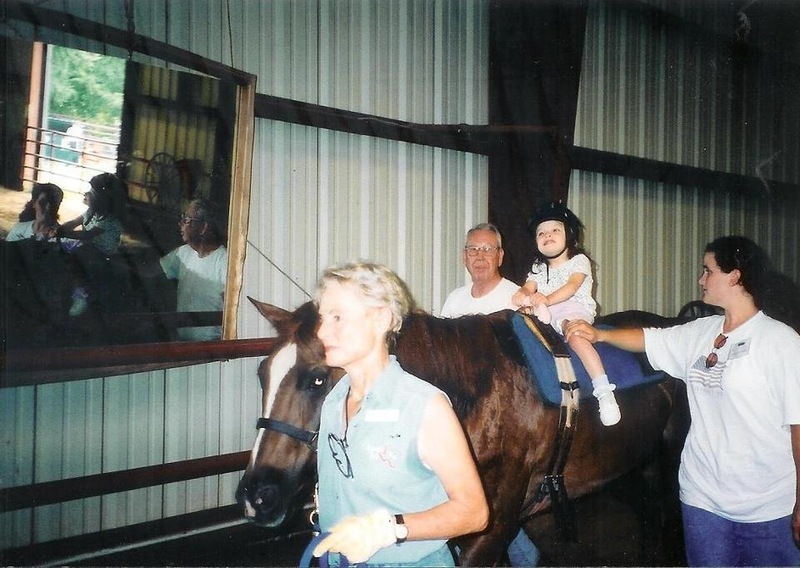 Many tools and treatments such as bracing have been tried with her at and the therapy using the horse is the only thing that works for Kaitlyn. 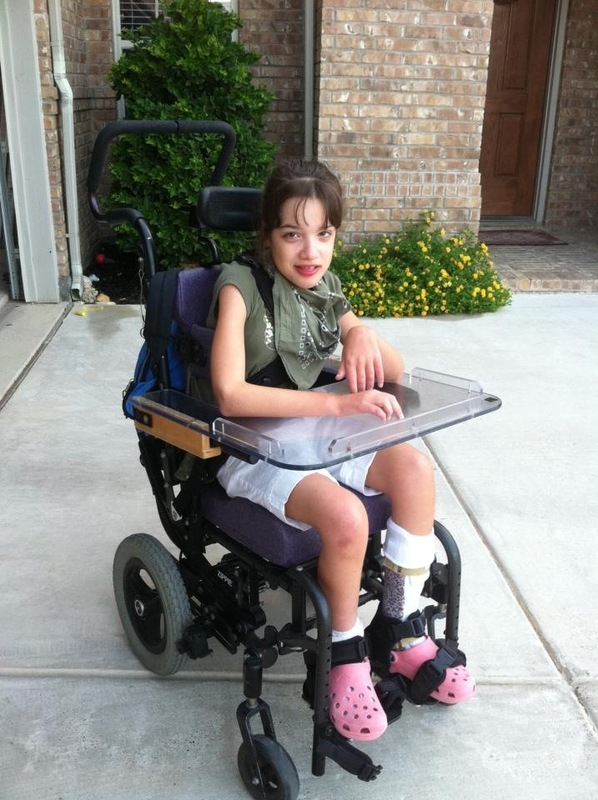 She has been treated at many prestigious medical facilities such as Johns Hopkins and is currently being monitored at Cook Children’s Medical Center.She will someday require life altering and most likely unsuccessful surgery or she will die without this therapy. The physical therapy Kaitlyn is receiving is the only thing that maintains her scoliosis curve at a level which is manageable without surgery. 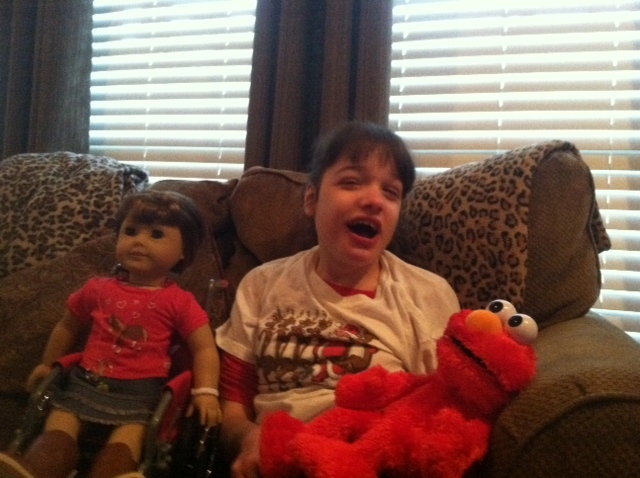 Kaitlyn is a happy child who loves interacting with people despite being nonverbal. 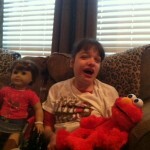 She loves school, eating, “Elmo”, her American Girl doll in a wheelchair and several Disney DVDs.